I didn’t give myself this title. I’m way too modest for that! But I wear the title proudly. I’m not the type though to keep all the glory to myself so I want to teach you how you can be queen of your summer (actually any time of year!) and impress your friends and family. 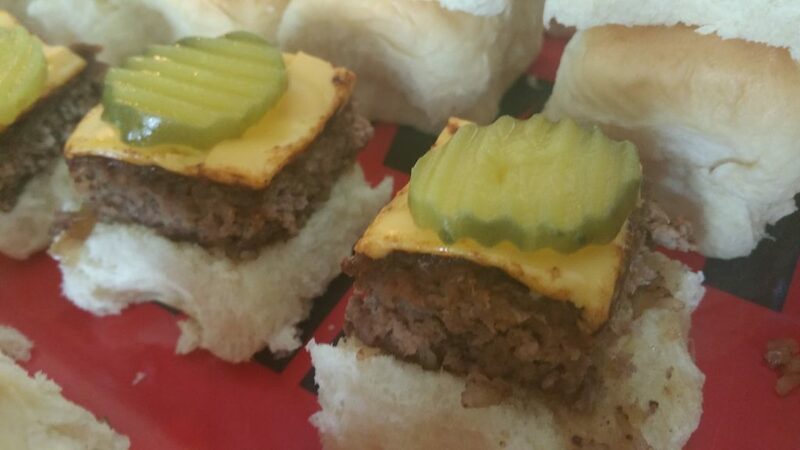 A few summers ago I was searching online for a slider recipe and ran across a DIY White Castle-like Slider recipe here at Big Red Kitchen. I thought it looked really easy which is perfect for me. Also, I’ve never been a White Castle groupie because I didn’t grow up with them. I don’t know if they were even in Oklahoma for us to try. So if you are a White Castle purist, please follow the link to the Big Red Kitchen and follow her instructions. 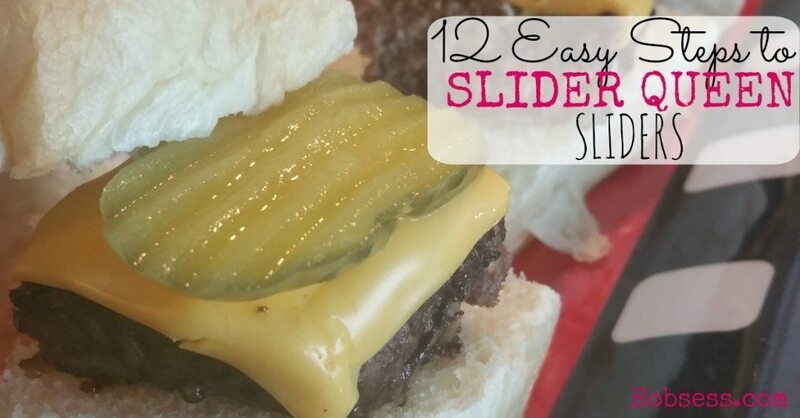 Then when you are ready to branch out, come back here to learn the queenly art of the slider. Before we being, let’s get our crowns out and practice our queenly waves. 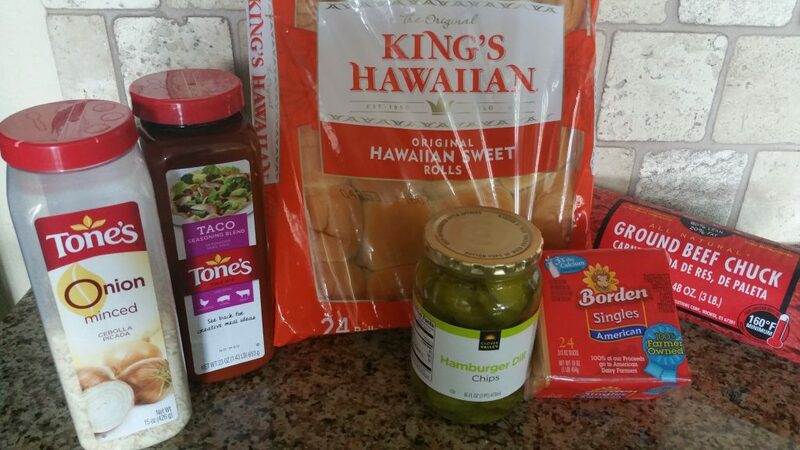 You only need these six beautiful ingredients to be a slider queen. Minced onion, taco seasoning, King Hawaiian sweet rolls, hamburger dill pickle chips, American cheese and 80/20 ground beef chuck. Preheat the oven to 400 degrees. 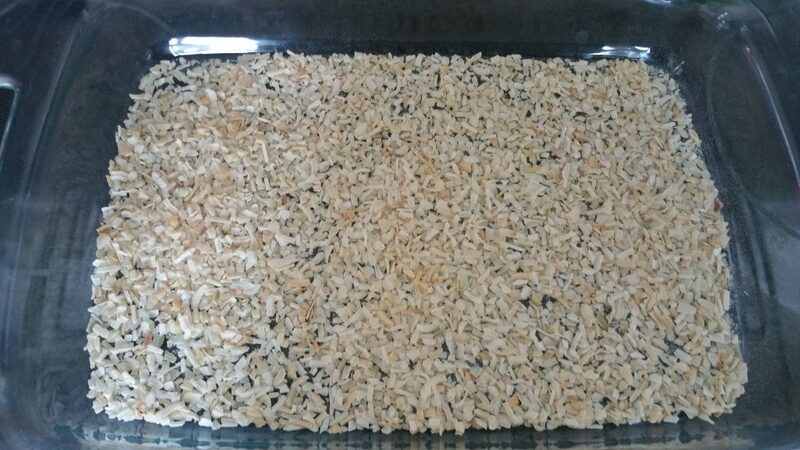 Put a layer of minced onions in the bottom of a glass 9 x 13 baking dish. Push 2 lbs. 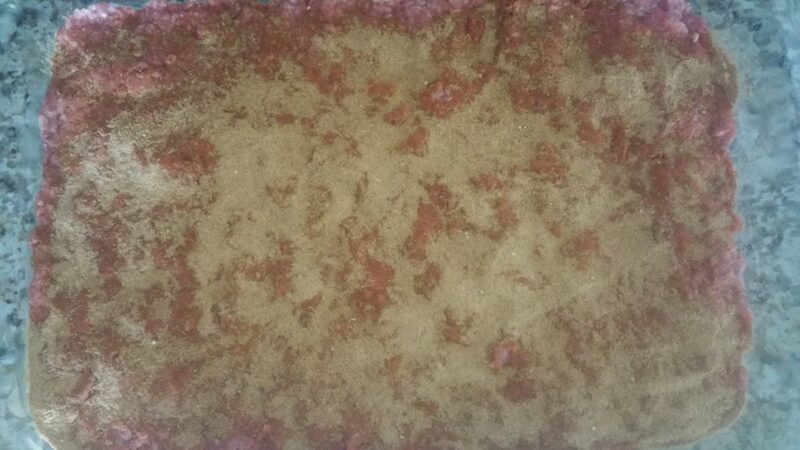 of ground chuck down on the onions. Put a generous sprinkling of taco seasoning all over the top of the meat. Don’t be shy. 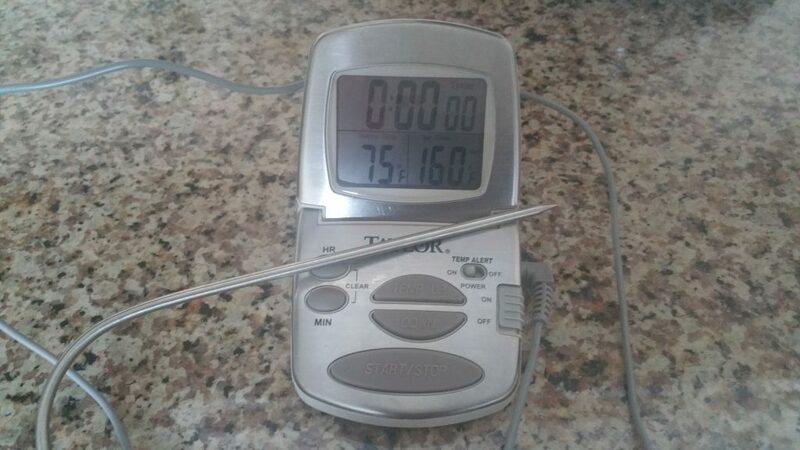 No one is going to get food poisoning on my watch so I use a meat thermometer. Set it for 160 degrees (see bottom right) and then jab the middle of the meaty loaf with the pointed sensor end and put in the preheated oven for 25 minutes. OK, for the sake of full disclosure, I have made these sliders many times without using a meat thermometer OR sending anyone to the ER. So, don’t let not having a meat thermometer stop you. 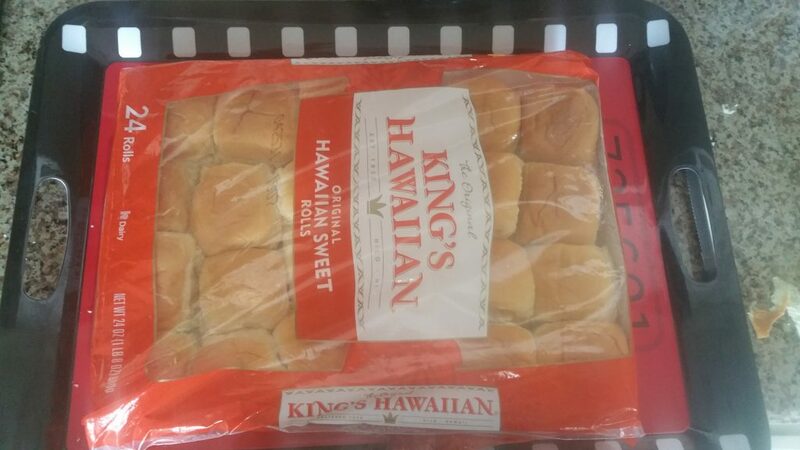 While the meat is cooking cut the Hawaiian rolls in two and put back in the bag so they will stay nice and fresh. A serrated steak knife works great for this. I usually put the rolls back in the package so they won’t dry out at all. 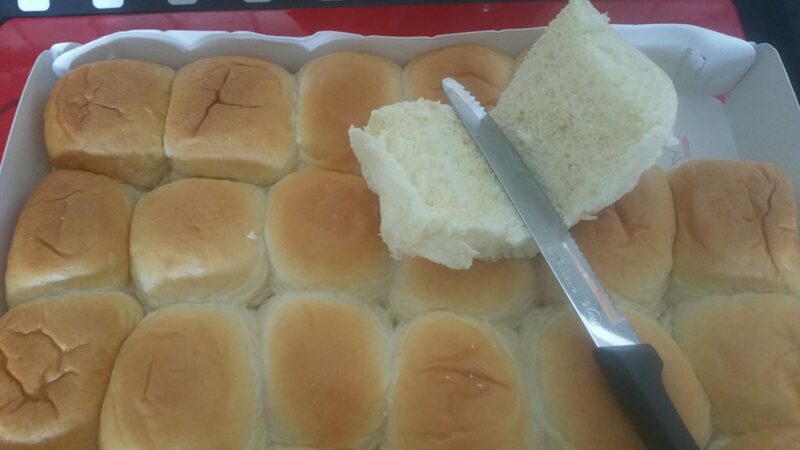 These rolls are so moist and I don’t want to lose any of that moisture while I am waiting for the meat to cook. Now pull the meat out after 25 minutes. The thermometer may say they are good to go but ONLY YOU know if they really are. I use a fork to open it up a little and if there is ANY pink, I stick them back in for 5 or so minutes. I know some who like their hamburger a little pink but I am NOT one of them. I want the cow cooked completely! Hey, What Happened to All the Meat??? 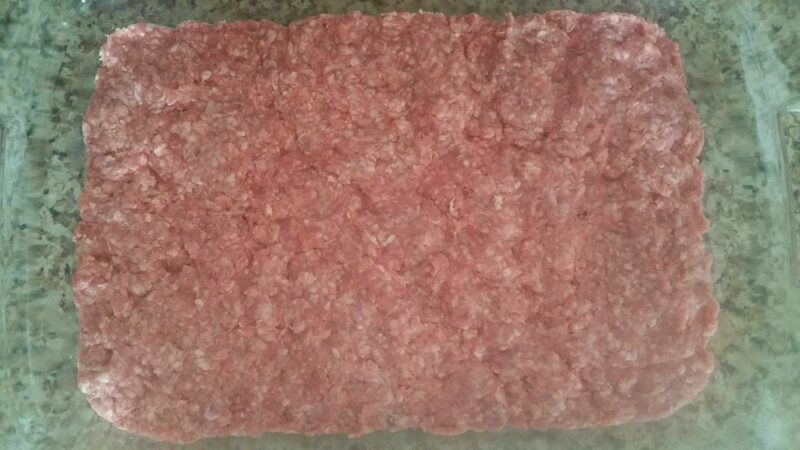 You will notice when you pull the meat out that it has shrunk up quite a bit. Not to worry, the juices will be flowing. 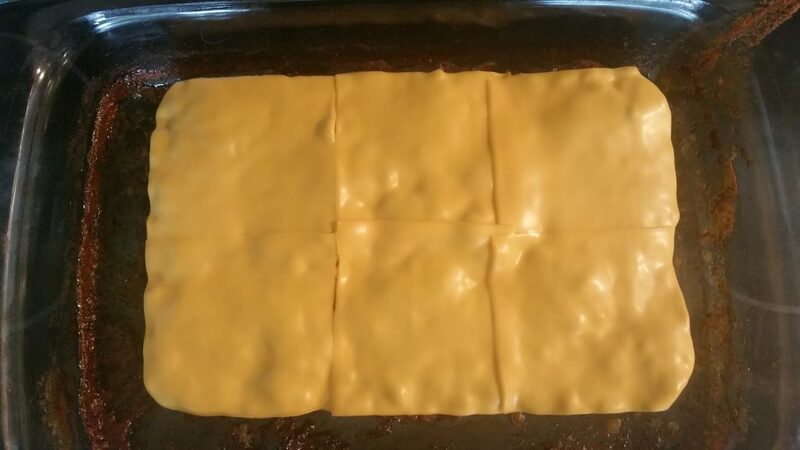 Dab the top of the meat with a paper towel to soak up some of the juice then cover with a layer of American cheese and put back in the oven for another 2-5 minutes. 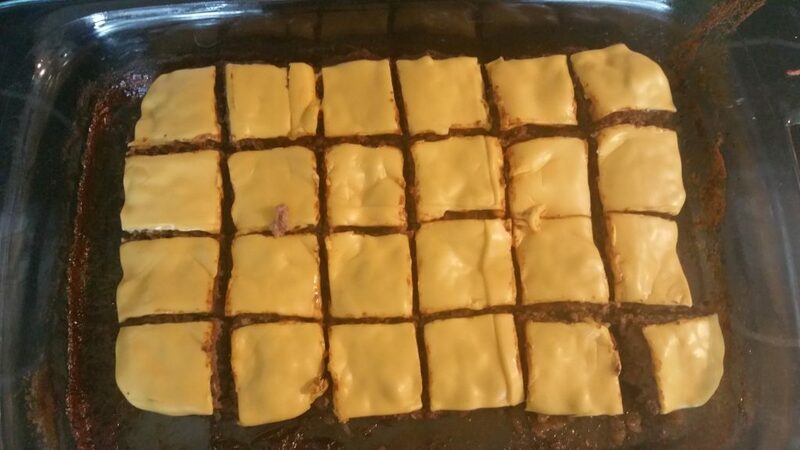 When that’s all nice and melty, pull out and cut up into 24 pieces. Now let’s put them all together! Scoop up some of the onion from the bottom with each little square patty, top with a pickle. Oh yeah! That’s what I’m talking about. You want a bite, don’t you? 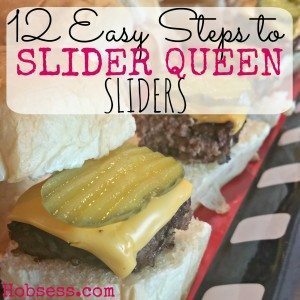 Only you will know just how easy it is to be a Slider Queen! Start practicing your queenly wave. You are gonna need it! You can have a little burger condiment bar with yellow mustard, dijon mustard, ketchup, BBQ sauce, etc. or nothing. These bad boys can stand on their own! Enjoy your reign, Slider Queen. Let me know below what you think of this recipe.